The gunman who authorities say killed a police officer and injured a Massachusetts State Police trooper was fatally shot Sunday. State and local police encountered 35-year-old Jorge Zambrano at 31 Watch Street in Oxford just after 6 p.m., according to state police. According to state police, Zambrano shot and killed Auburn police officer Ronald Tarentino Jr. early Sunday morning. A trooper returned fire. 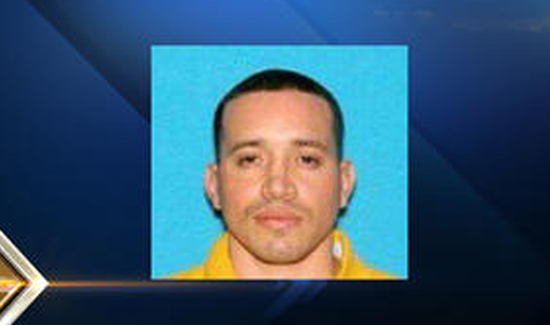 Zambrano was shot and taken to UMass Memorial Medical Center, where he was pronounced dead. Police say Zambrano was known to law enforcement and has an extensive record. He was recently arrested on charges that went to Worcester Court. Tarentino, 42, a husband and father of three, was shot around 12:30 a.m. on Rochdale Street in Auburn during a traffic stop. He was taken to UMass Medical Center in Worcester, where he was pronounced dead.